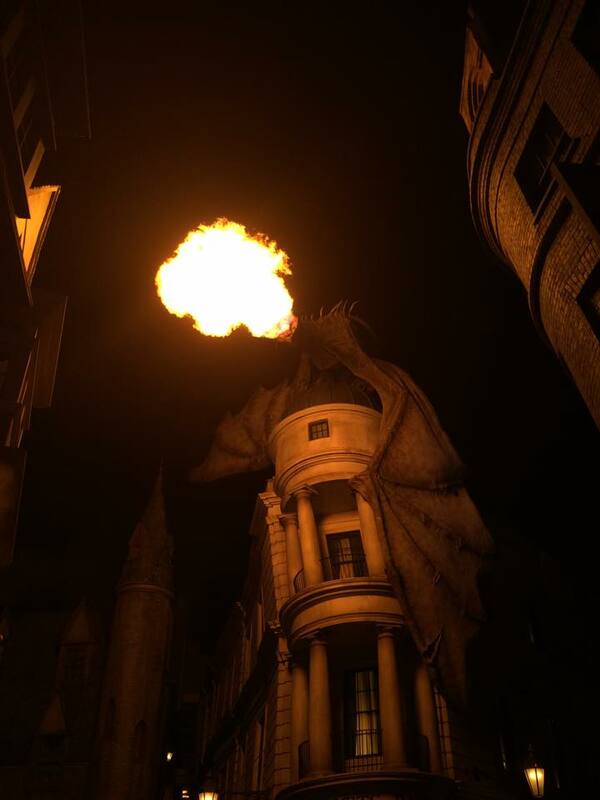 The Gringotts dragon at The Wizarding World of Harry Potter never fails to turn heads! 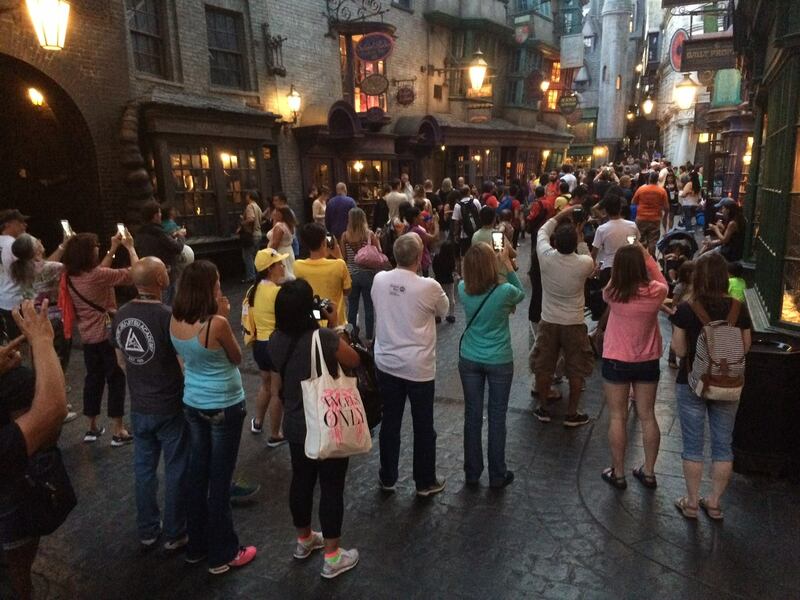 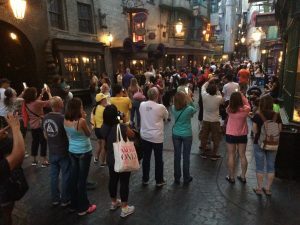 Here are some crowds getting their cellphones ready to take a picture of the impending fwoosh. And just for fun, here’s the giant Universal globe at the entrance to the park. 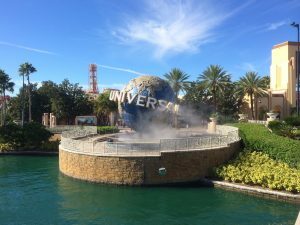 I joked to my family that if the name of the theme park was correct, the size of the globe would be microscopic compared to the size of the logo.